An X-ray is a common imaging test that’s been used for decades. It can help view the inside of your body to help diagnose, monitor, and treat many conditions. Gorey Family Chiropractic clinic offers x-ray services and is conveniently equipped with a fully digital X-ray system. X-rays are taken by a Radiographer, and your X-rays are examined. 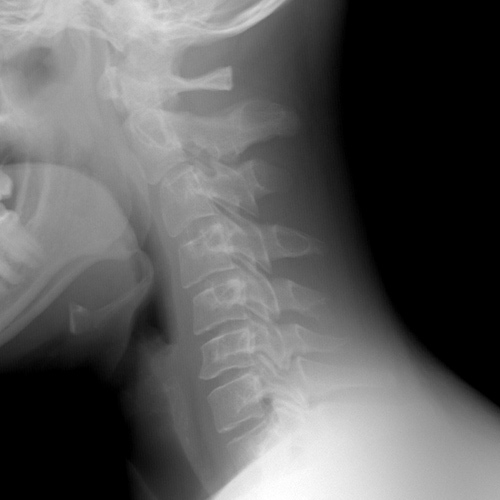 The findings of your X-rays are combined with your history and physical examination findings, to assist your practitioner making a making a full and complete diagnosis and to help establish what treatment may be most beneficial for you. X -ray can be necessary to rule out other conditions, diseases and fractures that can cause symptoms. Depending on your x-ray results, occasionally additional tests may be necessary to develop an accurate diagnosis for example, additional imaging scans such as MRI or blood tests. An MRI scan produces detailed images of the structures inside the body. As the name suggests it uses strong magnets to produce the images. An MRI is especially useful for looking at soft tissues and the nervous system. Should it be determined that you may need an MRI scan, your chiropractor will discuss arrangement of a referral for MRI with you.